Slimaluma® underwent a clinical trial at the Division of Nutrition, St John’s National Academy of Health Sciences, Bangalore India during January to August 2003. Results from this clinical trial were subjected to rigorous statistical analysis, using statistical tests are the international norms and approved for double-blind clinical trials. The summary of analysis is presented below. Active Group: There was a statistically significant decrease in body weight in the active group between all time points. Placebo Group: Although the weight came down in the placebo group, it was not statistically significant. Placebo Group: There was no statistically significant change in the body mass index for the placebo group. Active Group: There was a statistically significant decrease in waist circumference in the active group between all time points. Placebo Group: There was no significant change in the waist circumference for the placebo group between any of the time points. Hip Circumference: Active Group : Statistically significant reductions were observed in the hip circumference. Fat Loss : Active Group: There was a statistically significant decrease in the body fat (expressed in kgs) in the active group of subjects between visit 1 & 2, and visit 1 & 3. Placebo Group: There was no statistically significant change in the body fat of the placebo group between any of the time points. Hunger Level: Active Group : There was a statistically significant decrease in the hunger level in the active group. Placebo Group: There was no statistically significant change in the hunger levels in the placebo group. Adverse Effects: Adverse effects noted were gastro-intestinal in nature and were reported by both active and placebo groups. These included acidity (moderate), constipation (mild) and flatulence (mild to moderate). These effects subsided within a week after commencement. No adverse effects were noted on other systemic functions. No changes in ECG were noted. No sympathomimetic effects were noted. Changes in Basal Metabolic Rate were not investigated. Our subjects were taken from two active practices in the Los Angeles area. The subjects were randomly assigned to either the active group or a placebo group. The trial was carried out on 26 patients, 9 of whom were males. They ranged in age from 31 through 73. One patient from each category did not show up for the final visit (dropouts). The substance was administered as one capsule to be taken 30 minutes before each meal. Each subject was weighed (pounds) before and after completion of the study, height was ascertained at each visit, and the waist was measured in inches as well as the hips. The hips were measured at the widest girth while the waist was measured at the umbilicus. In addition, the blood pressure was measured in a standard fashion at the brachial artery in the left upper extremity. From the weight and height measurements, body mass index (BMI) of each subject was ascertained. The only adverse effects that occurred were in two patients (a husband and wife), one of whom was on active substance and the other (male) on placebo. They complained of acidity and a bloating sensation soon after starting the capsules. Both of them stopped taking the capsules, then started again and claimed they developed the same symptoms. Therefore, they both discontinued taking the capsules altogether. Both the clinical trials done on Slimaluma® clearly demonstrated that there was reduction in hunger levels, reduction in weight circumference, reduction in fat and reduction in body weight in the active group of participants. 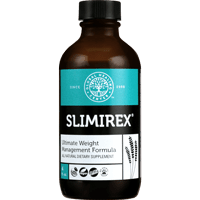 Slimaluma® is a clinically proven, safe and non-toxic dietary supplement that can be used for the management of obesity, by appetite suppression leading to clinically significant weight loss.